What are the most important project management skills? Does project management follow a T-shaped or X-shaped skill pattern? This guide will answer these questions, and more. Calling project management a "job" is a little misleading. It is actually several jobs rolled into one. As a project manager, your responsibilities are broad as well as deep. Every aspect of the project, from organizing teams to managing project risk, comes under your purview. Given the scope of these responsibilities, your project management skills have to be broad as well. It’s unlike the typical skill graph that most other professions have. You can’t specialize in a single skill; you have to master a lot of them to be good at your job. What are these essential project management skills? How can you develop them? I’ll answer these questions and more in this guide. As a project manager, what should be the shape of your skills? Should you possess deep expertise about one topic? Or should you know a little about a lot of subjects? The idea of "skill shapes" stems from design consultancy IDEO's work. IDEO's CEO, Tim Brown, built his company around "T-shaped" people, i.e. people with exceptional expertise in one area as well as a smattering of knowledge of related topics. But people don't always have skills that follow this pattern. Some people have deep expertise on a single topic but know little about others. Think of a deep sea welder. He might know a great deal about welding underwater but not know a thing about sales, marketing, or operations. Such people have 'I-shaped' skills. The opposite of this is ‘Dash-shaped’ skills, i.e. people with a wide breadth of knowledge but little to no deep expertise. There is yet another skill-shape - ‘X-shaped’ (sometimes called ‘E-shaped’). This is typically called the “executive” skill shape (hence the name) since senior leaders often possess it. People with X-shaped skills have deep expertise in a core knowledge area as well as strong leadership skills and credibility. They’re able to formulate strategies and execute them. They aren’t just workers; they’re managers, delegators, and leaders. The question now is: what is the shape of project management skills? In other words, project management is an X-shaped skill. Good project managers tend to have prior experience in the field. A software project manager, for instance, often has a programming background. This helps her understand the complications that can arise during a project. This, in turn, helps her create more accurate plans and projections. At the same time, project managers back their domain expertise with strategic insight, communication, and personnel management. They know what motivates their team members. They also know how to balance the project’s goals with the organization’s broader strategic targets. This cross-domain expertise can be hard to build. Keep this in mind as you go through the list of project management skills below. Be prepared to immerse yourself in the field you’re managing - construction, software, creative projects. And at the same time, build up your ancillary skills - communication, leadership, and strategic expertise. Project managers have a tough job. They need to have deep expertise in a subject. They also need deep insight, leadership, and managerial capabilities. As you can imagine, it’s not easy to build this diverse range of skills. I suggest focusing on learning as much as you can about the industry you’re managing. Prior industry experience always helps, especially if you’re working in a core field (such as a designer working in a creative agency). Complement this knowledge with core project management capabilities - breaking down projects, mapping schedules, managing teams, etc. A formal course of study, such as the PMP exam certification, will equip you with this PM-specific knowledge. Else, resources such as this blog are a good enough alternative as well. Along the way, also focus on your leadership skills. Try to see every project - and the people you’re managing - from the perspective of a senior executive. The more you can align the project with the organization’s broader objectives, the better you’ll be at keeping all stakeholders happy. Experienced project managers will tell you the same thing: managing projects is easy. Leading them, however, is a massive challenge. The functional aspects of project management is largely a solved problem. There are plenty of well-crafted project management methodologies that offer detailed frameworks for managing projects of any size. What's missing from these frameworks is leadership. Projects often go astray not because they've been poorly managed, but because there is no one to motivate and direct the project team. The easy availability of PM and communication tools has made this more evident than ever. As PMI writes, "leaders innovate; managers administer". In the current hyper-competitive business landscape, it's easy to find administrators. Innovative leaders, however, are in short supply. Thus, leadership should be at the very top of your totem pole of project management skills. Your goal should be to cultivate all these qualities. While it's important to administer projects well, you should also seek to lead projects in such a way that your team is inspired to do the right thing on its own. Project management isn't just about inspiring people. It has a deeply functional component as well. A good project manager should be able to break down, plan, and schedule projects - all in accordance with the formal methodologies used by the organization. An understanding of popular project management methodologies. An understanding of how projects are structured in general, and in specific methodologies. The ability to create all the documents associated with managing a project - work breakdown structure, Gantt chart, scope statement, etc. Knowledge of industry standards for reporting, forecasting, and managing risks. How formal your knowledge should be will depend on the maturity of your organization's PM processes. Highly mature organizations will often stick to strict PM frameworks and methodologies. Succeeding in such organizations means a formal understanding of these frameworks. Some will also insist that you possess certifications such as the PMP. In smaller, less mature organizations, you might not need formal PM knowledge. Nonetheless, you'll need on-the-job experience to ensure that there is consistency and formal rigor in your project management processes. To manage projects is to manage risk. As the de-facto manager and leader in charge of the project, you'll often be the target if things go wrong. An ability to proactively measure and manage risk will do wonders for your project management career. Given that many organizations under-invest in risk management, this project management skill will also help you stand out from your peers. Experience leading projects of different sizes, so that you know what usually goes wrong. Strong organization skills, so you can document potential risks and develop plans to deal with them before they happen. Skilled project managers anticipate risks. They can read patterns and estimate the odds of something going wrong. And because they are well-organized, they usually have backup plans to deal with the problem before it derails the project. Given the heightened exposure the manager has to any project issues, consider risk management a core project management skill. Fortunately, modern PM tools such as Workamajig make managing risk much easier. For example, Workamajig has health indicators that show you every deliverable's completion status and financial impact. This can help you spot potential issues before they derail the project. As any experienced project manager will tell you, 80% of your time will be spent communicating with people. Whether it's stakeholders, sponsors, or project teams, you'll be jumping from email to email and chat to chat keeping tabs on things. It goes without saying that strong communication will make your job much easier. It will also lead to better project results since everyone will be on the same page. Your goal is to make sure that everyone - stakeholders and project teams - know exactly what's going on. No one should be in the dark about the status of a deliverable or a key requirement. The more you can keep people in the loop, the better you'll be at your job. Managing a project means managing people. Some of these people will have strong opinions and expectations. Sometimes, these opinions will clash, leading to conflicts and confusion. As a project manager, your ability to navigate these conflicts and negotiate solutions is vital. You'll have to work across stakeholders to get them to agree on deadlines and deliverables. And when problems crop up, you'll have to wade into the waters and draw up a resolution. Your negotiation skills are particularly important. This is a skill you'll use every day - requesting additional resources, cajoling your team to work harder to meet a deadline, haggling with vendors to reduce prices, etc. Complex projects are filled with multiple parties often wanting different things. As the project manager, you will have to wade in and wrangle out compromises. Negotiation skills can be hard to build-up. Much of it is learned in the field. You can take formal courses, but unless you deal with actual conflict in real-world projects, your skills will be blunted. Try to approach your projects from a negotiator’s perspective. Ask: what is the common good I can get everyone to agree on? What can I do to rally them towards it? The better you get at understanding the give and take involved in complex projects, the better you’ll be at your job. To be a project manager is to fall in love with planning. You’ll plan the project’s scope, its objectives, and its path from initiation to final delivery. From communication to risk, successful managers have a plan for every contingency. But what good is a plan if you don’t execute on it? And what good is execution if you don’t monitor and control it? This is why planning and control are two of the most important project management skills you can have. The former tells you what to do. The latter shows you whether you’re doing it well enough. And if you’re not, what you can do to change it. Creating necessary project documentation, such as work breakdown structures, project plans, etc. Creating plans to manage risks, communication, and the overall project. Monitoring the project’s activity, including its financials, tasks, and schedules. Creating and controlling budgets and work schedules. While all of these skills are important, I would say that being able to keep track of budgets and deadlines is particularly crucial. 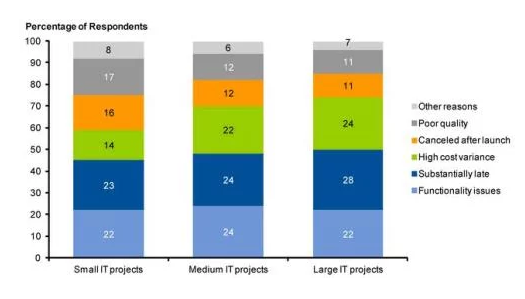 Overshooting budgets and deadlines rank among the two biggest causes of project failure, as per Gartner. By keeping track of the project’s financials and aligning them with your organization’s broader goals, you’ll deliver a great deal of value to your company. A successful project team works like a well-oiled machine. They complement each others' skills, anticipate needs, and keep each other accountable. But what if a part of this machine breaks down? Maybe an important team member is unmotivated and keeps missing deadlines. Or maybe a new team member drags everyone down with poor performance. In such cases, the project manager has to step in and ensure the team operates smoothly. Managing people is one of the most important project management skills you can possess. This is particularly true in creative projects where working well together is crucial for project success. Being able to foster strong relationships and troubleshoot failing ones will make you much better at your job. This is a broad brief, but given the primacy of teams and people at the heart of modern projects, this is a vital project management skill. Mastering project management can be incredibly challenging. You have to develop so many project management skills simultaneously - domain expertise, leadership, planning, conflict resolution, people management. The good part is that you don’t have to excel at everything to be good at your job. If you can focus on the handful of core skills I shared above, you’ll find remarkable success as a project manager. And of course, using a better project management system can’t hurt. 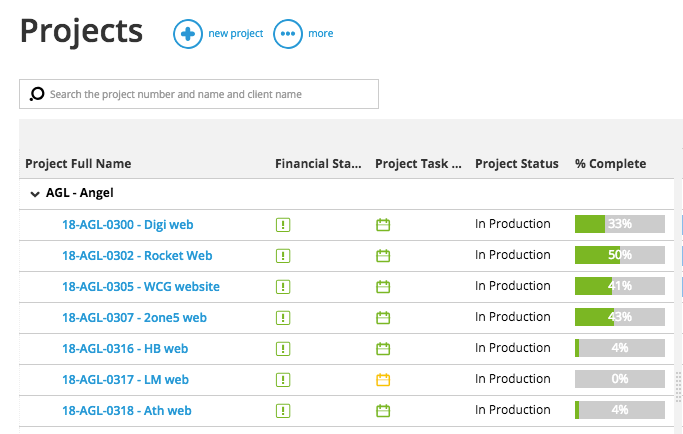 See how Workamajig’s project management solutions can transform the way you run your projects. Sylvia joined the Workamajig marketing team in ‘17 & with her background in graphic design & business, she’s an awesome addition. At just under 5 feet, Sylvia is a living testament to the adage that good things come in small packages. You can reach her by sending an email to sylviam@workamajig.com.